The search for innovative material solutions resulted in Antoni Arola's Cubrik lamp, created for Santa & Cole: a cube-shaped hanging lamp, with a steel reticular structure. 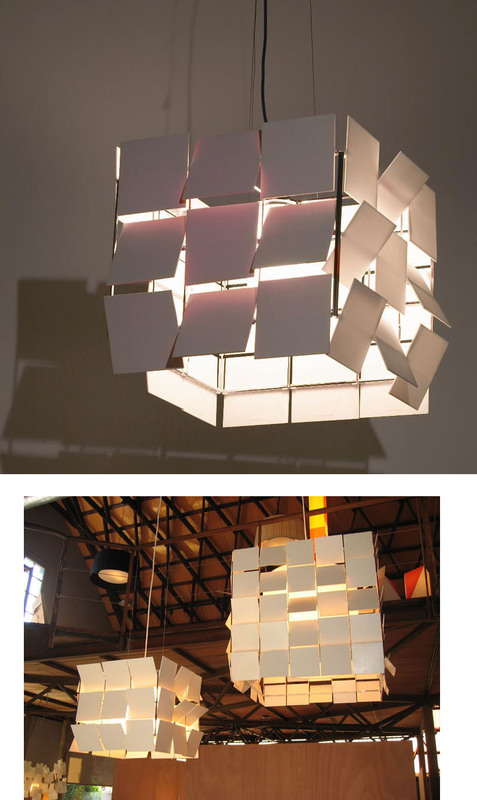 It is formed by flat square plastic shades. The shades' design allows the user to choose the amount of desired light while the shades can be set to project an image of more or less neatness and order depending on one's mood. The maximum drop length is 9.8 ft.
Material: Nickel frame with ABS adjustable squares.